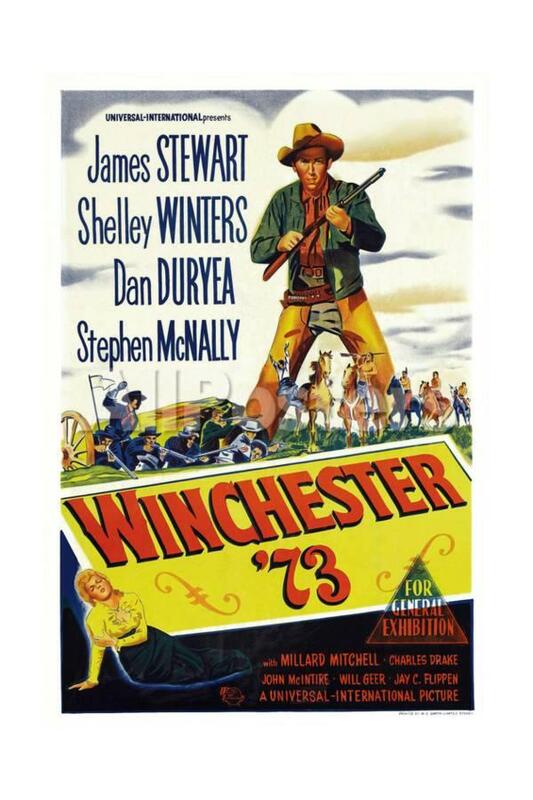 A sharpshooter (Jimmy Stewart) arriving in Dodge City with his longtime friend (Millard Mitchell) wins a coveted Winchester ’73 rifle in a shooting contest, but it’s stolen by his rival (Stephen McNally), who then loses the gun to an “Indian trader” (John McIntire), who is scalped by Chief Young Bull (Rock Hudson). 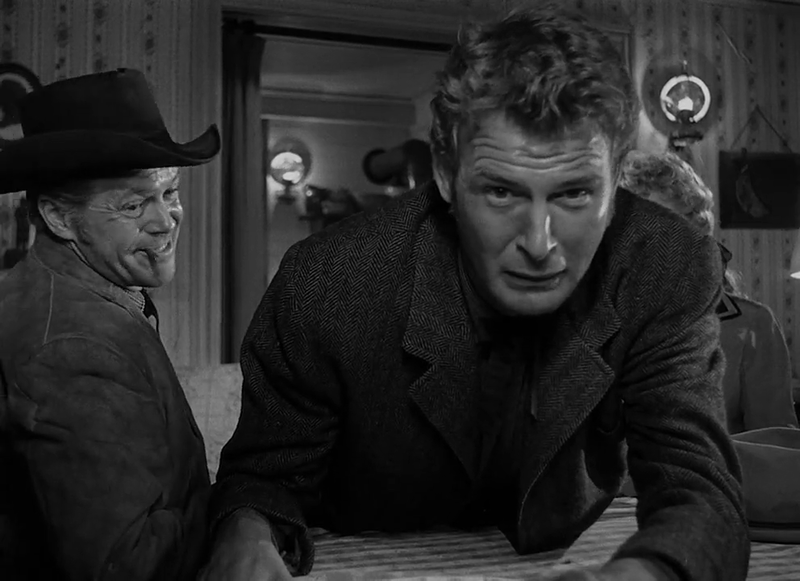 Eventually the gun lands in the hands of a cowardly man (Charles Drake) engaged to a dance hall girl (Shelley Winters) who has a crush on Stewart. 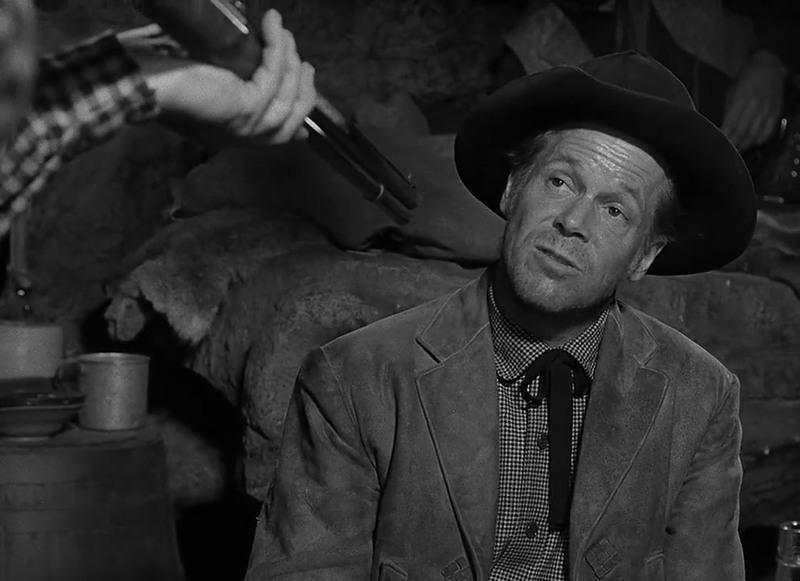 Drake’s outlaw partner (Dan Duryea) steals the gun from Drake, but loses it back to McNally. Who will finally end up with the gun — and the girl (Winters)? 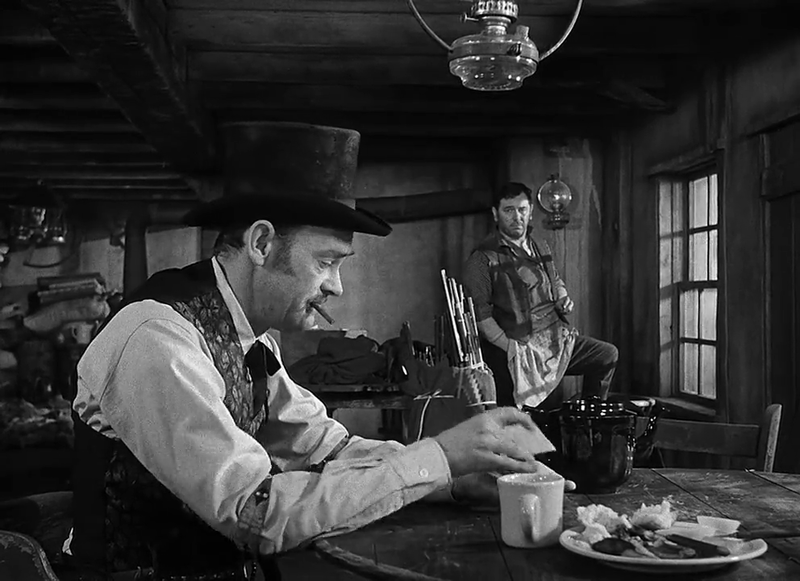 Peary writes that this “classic adult western by Anthony Mann, the first of five he directed with James Stewart”, has “excellent action sequences” as well as “unusual characterizations”, “interesting relationships”, and “unpretentious dialogue”. Indeed, it’s likely my favorite of the five, given that all elements of the rotating storyline (a la Ophuls’ La Ronde) help build a complex tableau of an Old West filled with classic tropes of the genre: a Cain-and-Abel brother-revenge tale; trigger-happy villains with plenty of guns; a “loose” woman (Winters) eager to settle down with a “real” man (Stewart); skirmishes with Native Americans; and male dominance hierarchies establishing tentative order in a lawless, violence-ridden landscape. The characterizations are indeed “unusual”, and quite rich, especially given how often the storyline shifts from one set of characters to another. I like how additional insights into motivation are gradually revealed; how the seemingly disparate storylines eventually converge; and how subplots (i.e., Winters’ dismay over her fiance’s unexpected cowardice during an Indian raid) turn into essential elements of the narrative (Winters plays an unexpectedly pivotal role in the film’s final outcome). 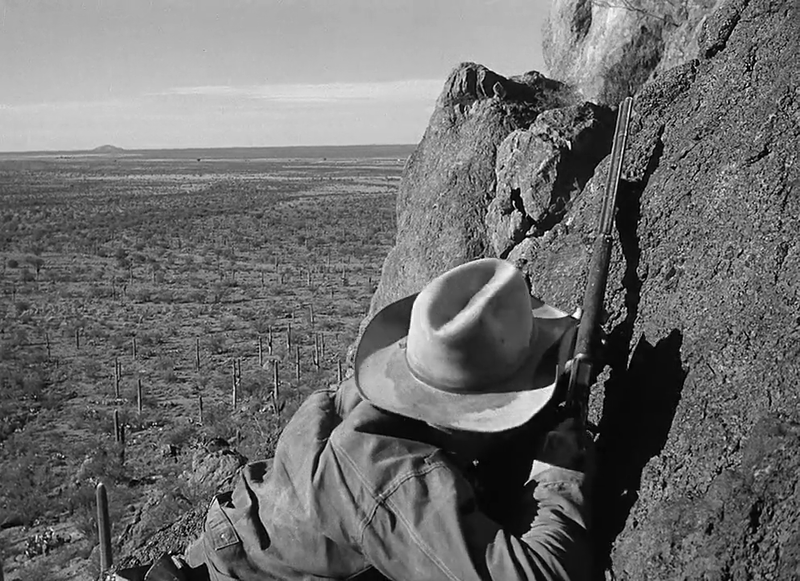 Mann’s direction, William Daniels’ cinematography, and the range of supporting performances (including dependable baddie Duryea) are top-notch throughout. Note: This film’s pacing, episodic western narrative, and cast of diverse characters put me in mind of Quentin Tarantino’s The Hateful Eight (2015). Yes, as a classic of the genre. Nominated by Peary as one of the Best Pictures of the Year in his Alternate Oscars. Must-see, and rich-enough an experience that it holds up well on repeat viewings. I’m in complete agreement with the assessment given above, so I’ve little to add. As it happens, I saw this film again within the last few months – it grabbed me and wouldn’t let go. 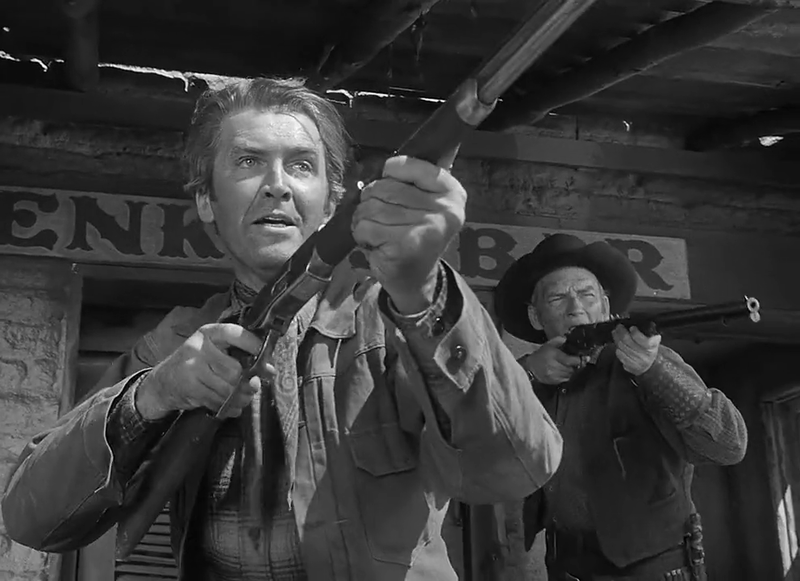 James Stewart is present on the DVD commentary and a lot of the filming info that he puts forth makes it worth the listen. 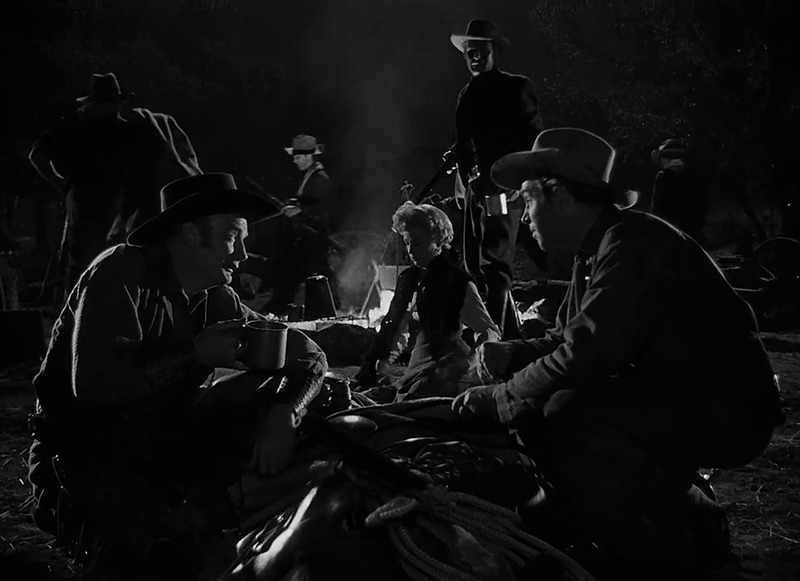 Mann was a master craftsman by this time in film noir. Just watch Side Street from the end of the prior year for an example of just what he could do when given a decent budget. 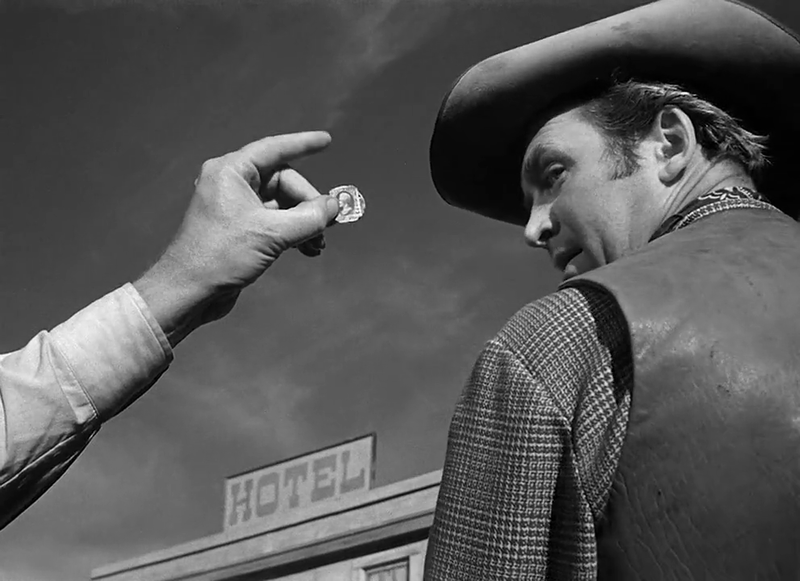 He brought his noir visual flair to his westerns, as Basinger points out in her book. But he also keeps the character dimensions interesting and subtle in the story as well. Spoiler alert: One anecdote that was particularly interesting, and Basinger also discusses in her book, was when Duvall asks Stewart if she could keep the last bullet from the gun he had let her borrow during a Native American attack that she was told to keep unfired just in case she was caught with the implication that she commit suicide with it rather than be taken prisoner. She keeps it and refers back to it fondly later in the movie as a reminder of the man she really wants for what could be many reasons. It packs a lot of fascinating dynamics into under 100 minutes. Great watch.